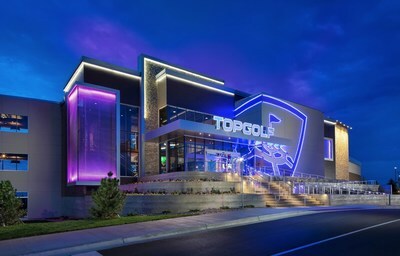 DETROIT, Dec. 3, 2018 /PRNewswire/ -- Global sports entertainment leader Topgolf® opens the doors to its first Michigan location at 9 a.m. Friday in Auburn Hills. The new three-level, 65,000-square-foot venue is the company's 51st location worldwide. "We are excited to open here during the holiday season," said Topgolf Detroit-Auburn Hills Director of Operations Brian Birckbichler. "Topgolf is about bringing people together and creating great times for all, and we want our venue to be a second home for everyone in this community." Through the premium experience of play, food and beverage and music, Topgolf inspires people of all ages and skill levels – even non-golfers – to come together for playful competition. Guests can enjoy point-scoring golf games using microchipped balls that instantly score themselves, showing players the accuracy and distance of their shots on a TV screen in their hitting bay. 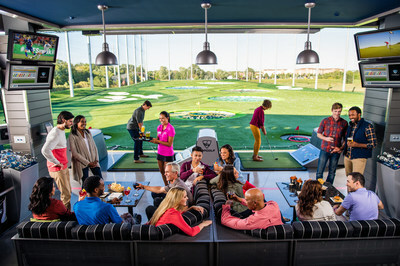 Topgolf venues feature a chef-driven menu, top-shelf drinks, big screen TVs, flexible private event spaces and music in heated hitting bays for all-seasons comfort. Year-round programming includes events for kids and families, social leagues, groups, golf tournaments and instruction. The new Auburn Hills venue is located at 500 Great Lakes Crossing Drive. More than 500 full- and part-time associates have been hired in advance of the opening. This winter, guests can enjoy new menu offerings, weekend brunch and other special events. For more information regarding the venue and upcoming events, visit topgolf.com/auburnhills, facebook.com/detroitauburnhills or @Topgolf on Instagram and Twitter. The first brand expression of this togetherness is a Topgolf venue. These multi-level complexes feature high-tech golf balls and gaming, climate-controlled hitting bays, renowned menu, hand-crafted cocktails, events, music and more. The nearly 50 U.S. venues along with four international venues entertain more than 17 million Guests annually.